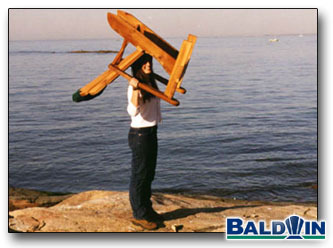 This photo simply shows how snugly the head cushion fits onto the back of the Baldwin Chair or Baldwin Rocker. The material is somewhat stretchy and fits tight. It stays on the chair even when the chair is held upside-down!